Australians love their coffee, tea and red wine - three big contributors to teeth discolouration alongside smoking, so it’s no surprise that the teeth whitening is in demand; this is reflected in the large range of teeth whitening toothpastes you can find even at your local supermarket. 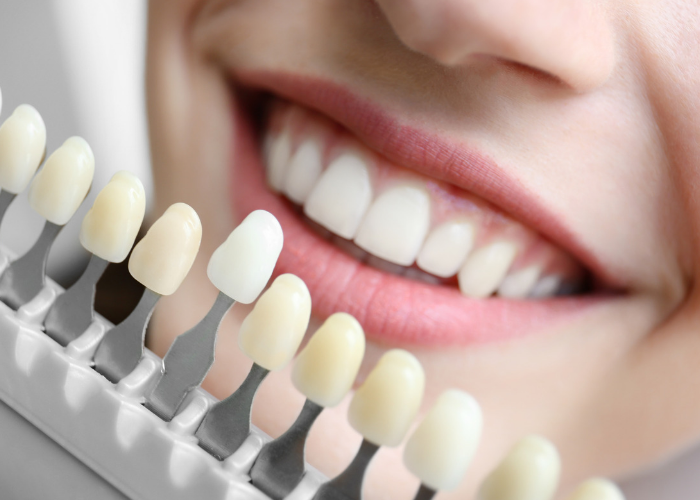 BrightTonix caters to our clients seeking a more advanced approach to teeth whitening to enhance their smile and increase their confidence — and all without having to visit the dentist, which can often be a nerve-wracking and costly affair for many. The BrightTonix system is a state-of-the-art innovation that harnesses the power of Radiofrequency (RF) technology and a professionally formulated Y10 whitening toothpaste that, when combined, safely and gently “pulls out” stains from tooth enamel without the need for harsh hydrogen peroxide treatments. Best Price Guarantee* Call Today! 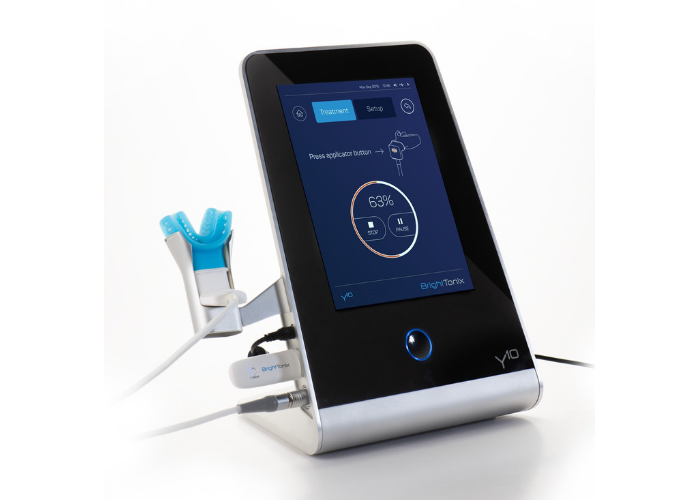 BrightTonix treatment providers dispense the Y10 whitening toothpaste into the mouthpiece, which is then inserted into the client’s mouth. The mouthpiece is attached to the BrightTonix device, which sends low level RF energy into the mouthpiece. When the RF energy collides with the toothpaste, the toothpaste molecules are charged, creating a chemical bond with the teeth stains (chromophore). Rapid changes in the complex pull out the chromophore from the enamel, safely breaking it down to whiten teeth up to 14 shades. Treatments take just 30 minutes, and no post-treatment home care is required. Call our team of experts now on AU 1300 655 013 or NZ 0800 398 749 and let us help tailor a custom made solution to suit your individual business and budget. Experience our fully comprehensive and personalised customer service and see for yourself why The Global Beauty Group is Australia’s premier aesthetic beauty equipment supplier.